The child, a boy, is now in the care of the patient's family and is said to be doing well. "We can't always choose how we come into this life, but we as a community can choose to love this child," Police Sgt Tommy Thompson told reporters. 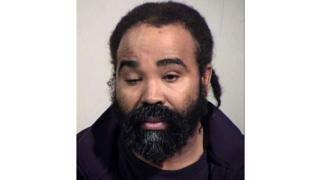 Phoenix police chief Jeri Williams said Mr Sutherland was identified through "good old-fashioned police work". After the birth, an investigation was launched into sexual assault because the woman's condition renders her unable to give consent. "We owed this arrest to the victim," Chief Williams said. "We owed this arrest to the newest member of our community, that innocent baby." A lawyer for the woman's family, John Michaels, said they were aware of Mr Sutherland's arrest but had no comment. The patient's family have described her as "a beloved daughter" with "significant intellectual disabilities" caused by seizures in childhood. Mr Michaels, told local media: "She has feelings, likes to be read to, enjoys soft music and is capable of responding to people she is familiar with, especially family." Court documents state that the woman is "not alert" and requires a "maximum level of care", the Arizona Republic reported. "There's no direct evidence that Mr Sutherland has committed these acts," Mr Gregan told reporters. "I know at this point there's DNA. But he will have a right to his own DNA expert." In a statement, Hacienda Healthcare said it was "troubled beyond words" by the news. The firm said it had given Mr Sutherland "an extensive background check" before starting at the clinic, and fired him as soon as its leadership team learned of the arrest. Earlier this week the clinic said a doctor who led the woman's care had resigned, and another was suspended.